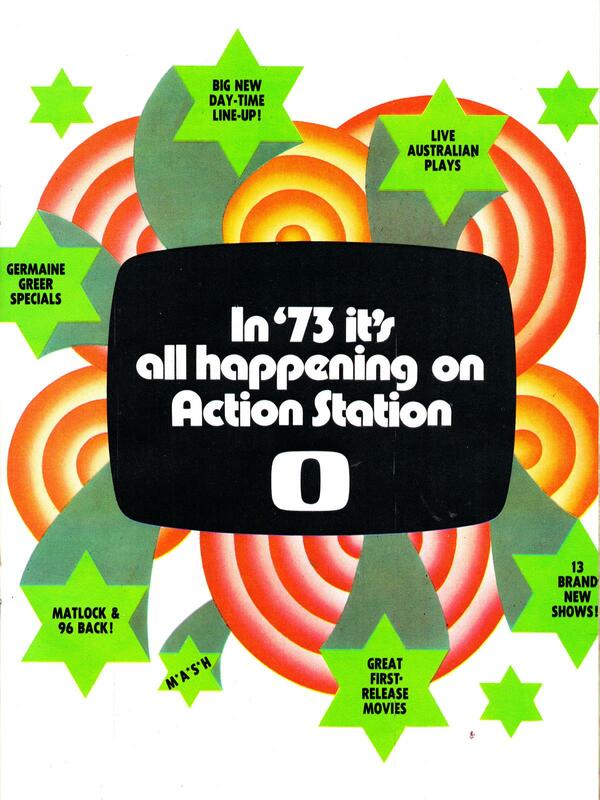 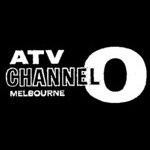 Flashback to February 1973 — and Melbourne’s ATV0 has published a glossy 8-page magazine liftout to promote its big-ticket line-up for the new TV season. 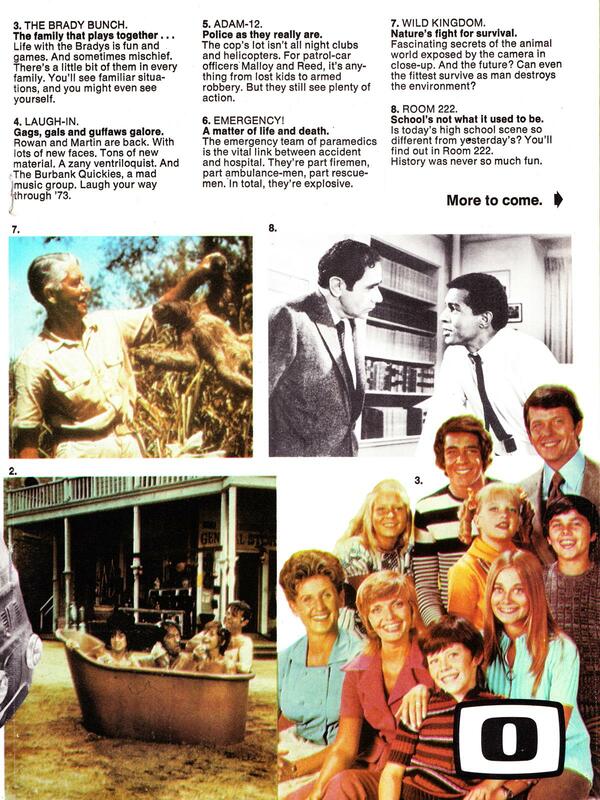 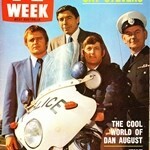 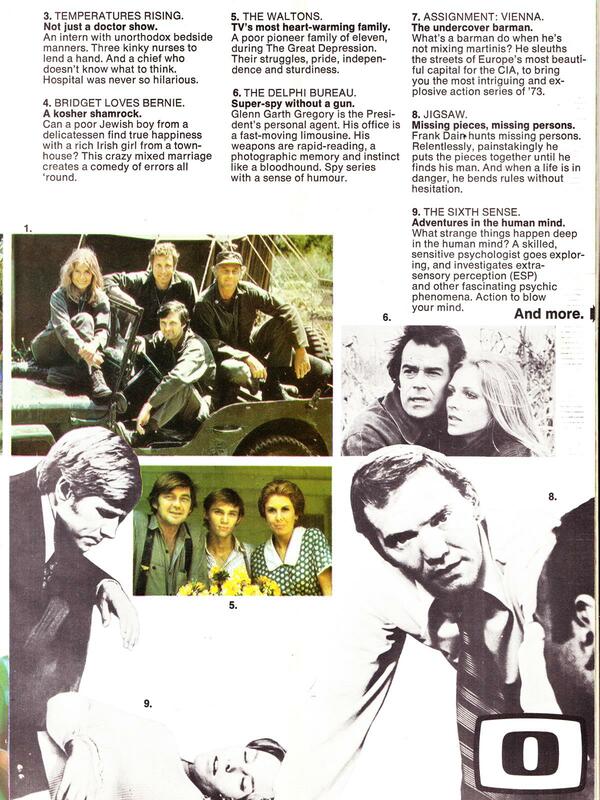 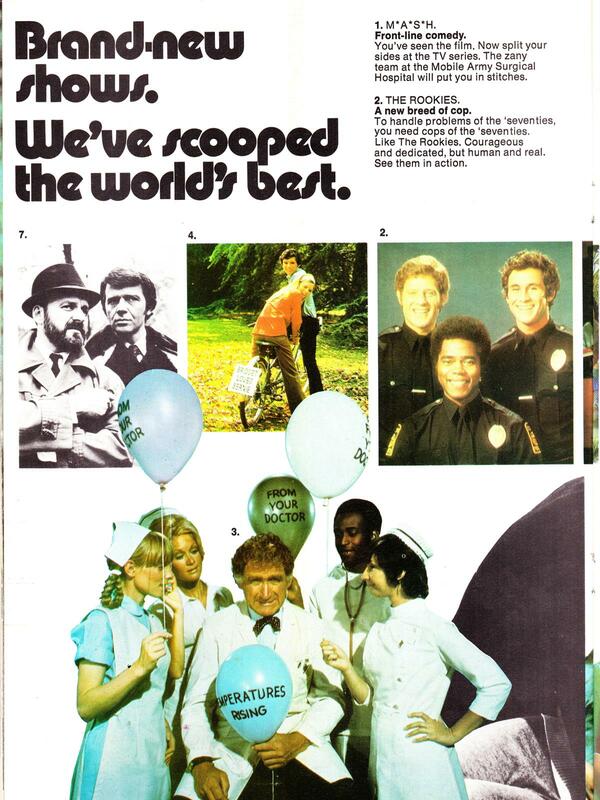 American shows take top-billing in the glossy pages… with new shows MASH, The Rookies, Temperatures Rising, The Waltons, The Delphi Bureau, Jigsaw and The Sixth Sense. 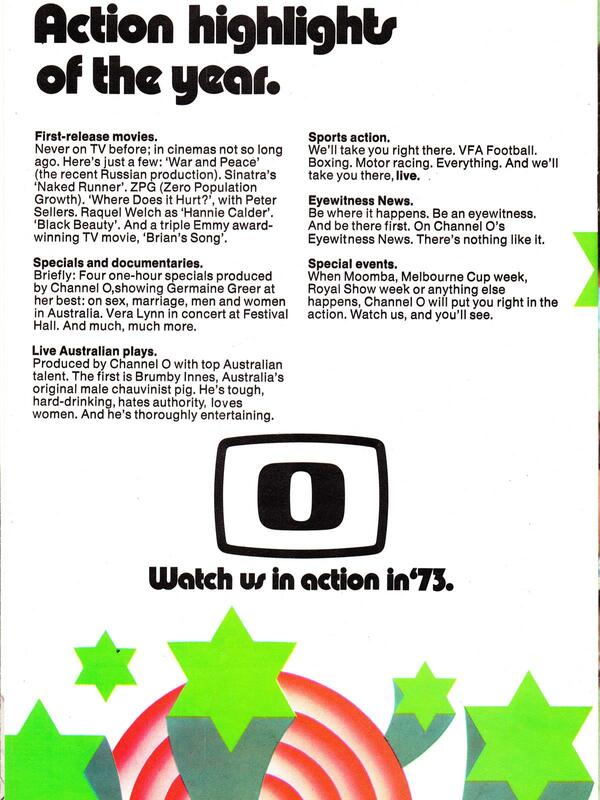 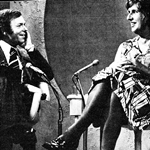 All these years later, MASH is still a minor drawcard, having recently been snapped up by the Seven Network’s 7TWO. 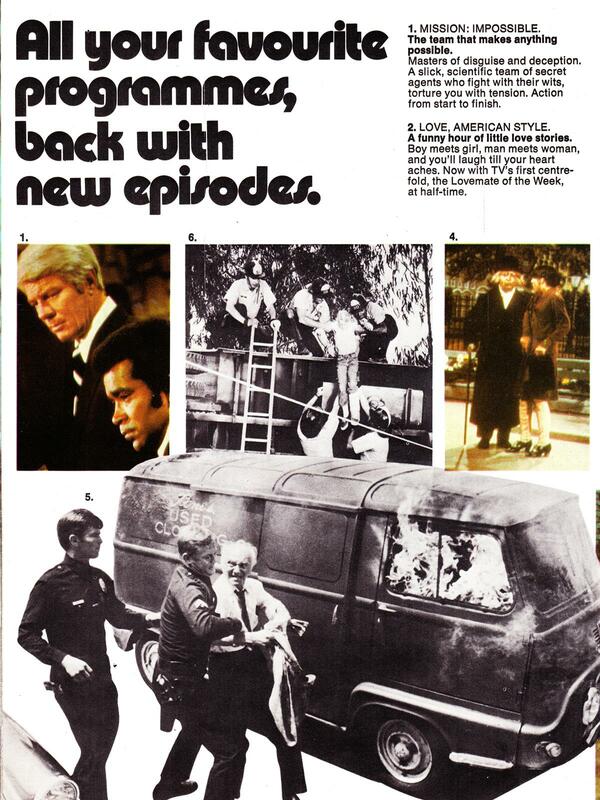 Among returning — again American — titles are Mission Impossible, Love American Style, Adam 12, Room 222, Rowan And Martin’s Laugh-In and The Brady Bunch. 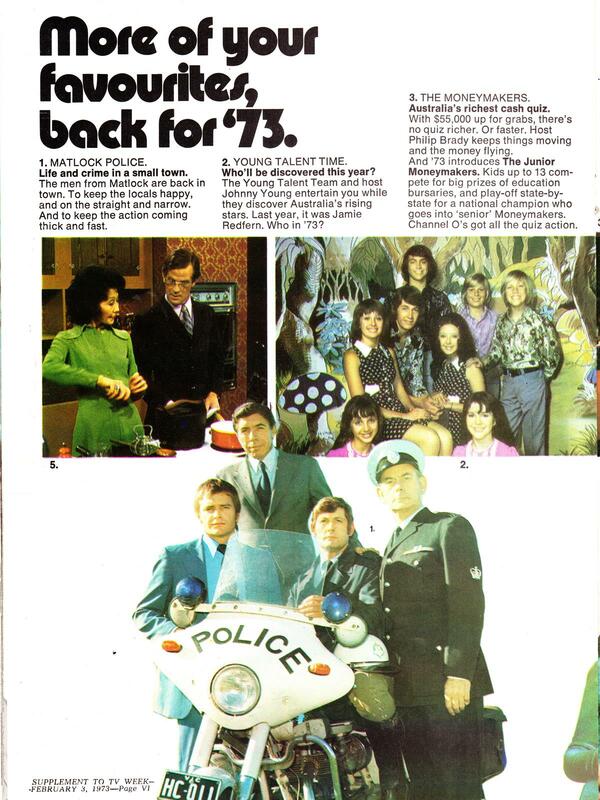 Third cab off the rank is the Australian contingent — dramas Matlock Police and Number 96, quiz show The Moneymakers and its new spin-off Junior Moneymakers, variety show Young Talent Time, morning chat and advertorials on In Melbourne Today plus the line-up of afternoon shows include debuts for The Price Is Right and The Mike Walsh Show.